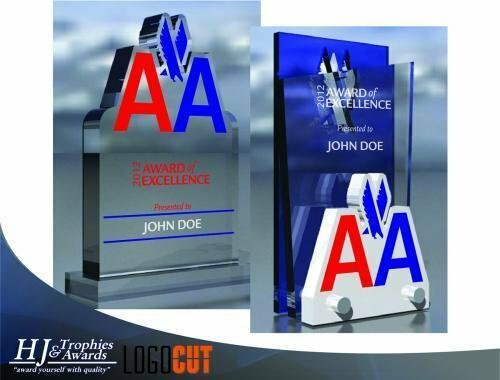 We can design custom awards to fit your presentation. 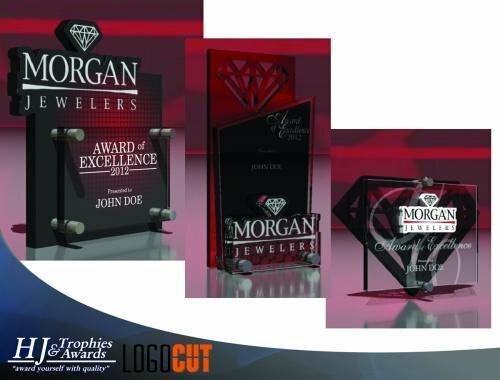 See the products below for some of the custom awards we have designed. 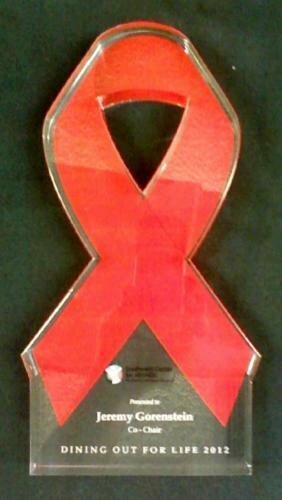 What about an awareness ribbon for an award? We can do these in the appropriate color and in many different sizes. 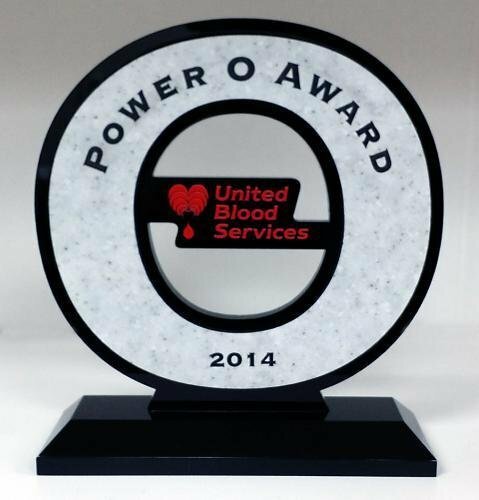 These make great awards for your top fundraisers or donors. Production lead time for this award is 10 days. This award has a minimum order quantity of 12. 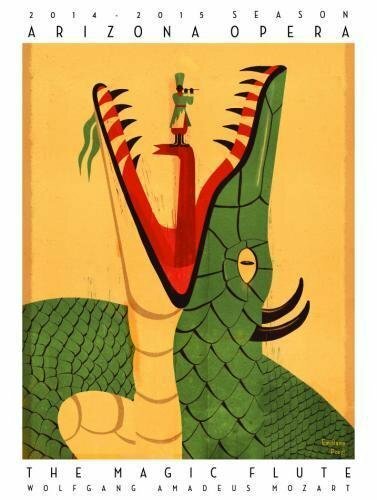 Having a Circus theme. 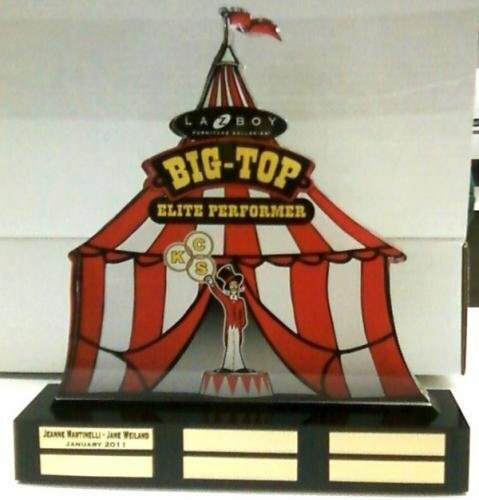 How about a Big Top Award. Make a traveling trophy award for the office and a smaller one to hand out to the monthly winner. Production lead time for this award is 5 days. 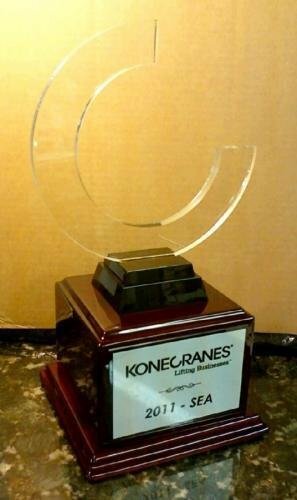 This award has a minimum order quantity of 10. This award has a maximum order quantity of 10. This award must be ordered in quantity increments of 10. 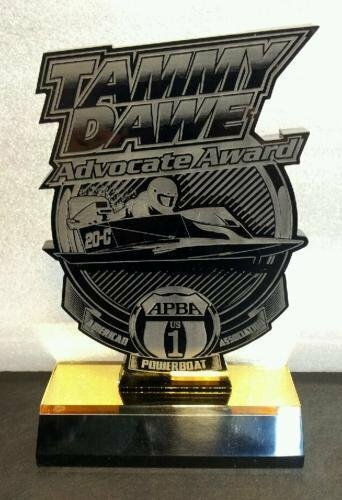 This was custom made for a powerboat award. Cutout was clear acrylic with a black background. It sits on a gold reflective base. Desktop nameplates. 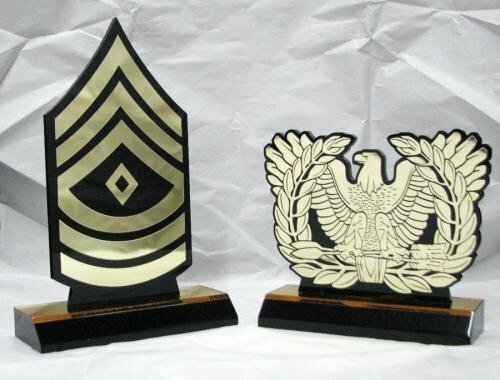 1/4" black acrylic background with gold emblem. Sits on a mirrored gold & black acrylic base. This custom piece is made out of solid walnut. It measures 36" wide x 6 1/4" deep & is 20" tall. 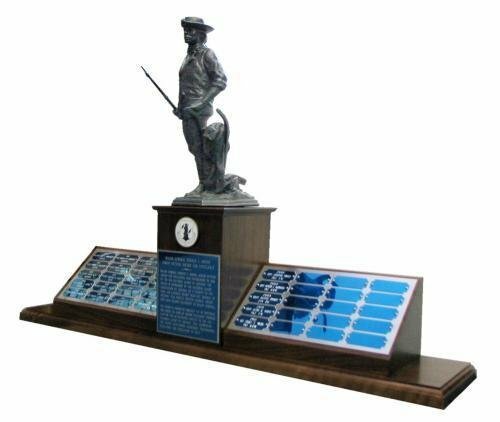 The minuteman sits on a walnut block and has 40 individual perpetual plates. Custom Awards don't have to be expensive. Look at this one! 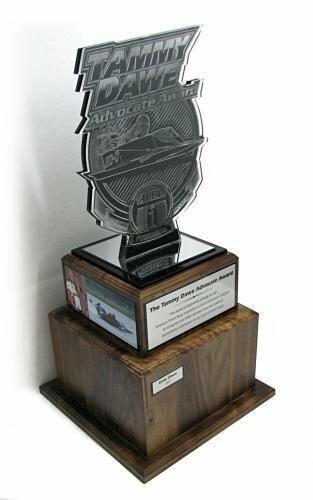 Let us create a custom award for your next event. Our design team is creative & experienced.